A new tool helps community members envision—and engage in—ways to create healthier, more accessible and more prosperous public realms, while also advancing the role of landscape architect as community facilitator and advocate. Today, the tool--called "What If," by its creators--received a prestigious Award of Excellence in the Philanthropic category from the Florida ASLA. 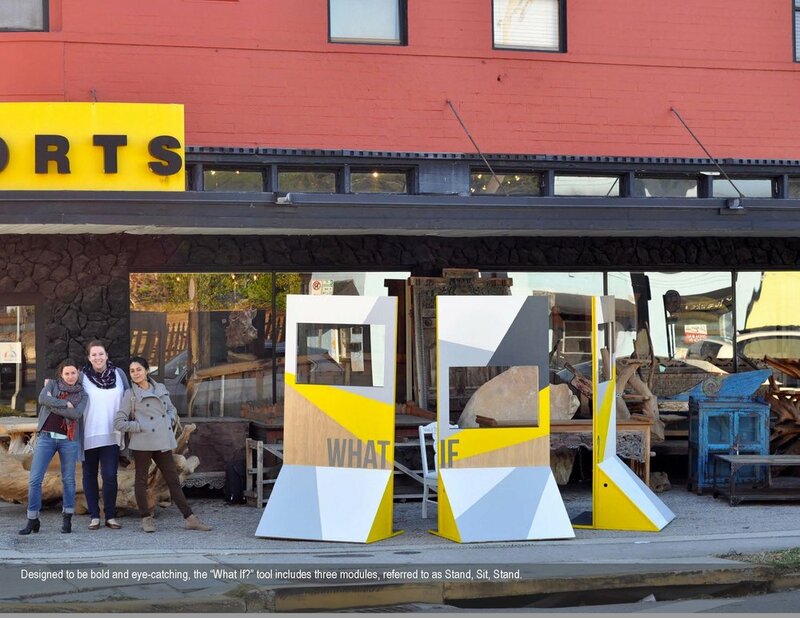 Deployed as a pro bono effort by landscape architects and designers at Dix.Hite + Partners, the “What If?” tool is a traveling display that uses existing conditions and renderings to enlist residents, shop owners and passersby in dreaming about how to transform spaces into something more special. An “Idea Chair’ prompts thought, and also provides the canvas on which the results are documented and shared with decision-makers. “What If?” is a labor of love that has been installed three times thus far in neighborhoods in Orlando, providing its team members a fun way to have lasting impact in their own communities, and a unique way for community members to engage in creating better public spaces. Learn more in these photos or on our "What If?" blog post.